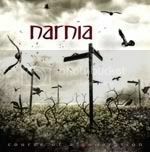 Narnia is a Swedish band that features a very impressive lineup of musicians and has been around since 1996. The main difference between “Course Of A Generation” and “Enter The Gate” is the change of vocalists they made, bringing German Pascual to their lineup. The main reason Power Metal is not one of my favorite musical genres because plenty of releases in this genre sound very alike. And “Course Of A Generation” is the perfect example. While the music is very good and the overall album production is stellar, it feels like I’ve heard the same songs somewhere else, there is nothing new or innovative about this release. That being said, we will assume that there are no other Power Metal bands in the world, for the rest of this review. 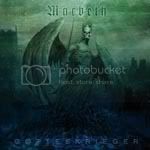 This review is about the Germany Heavy Metal band called Macbeth, not to be confused with the other 5 or so bands with the same name. This band has been plagued by bad luck causing them to split 2 times. It’s been three years since their self titled last album, and with “Gotteskrieger” the band return with a very interesting album, that differs from most Heavy Metal releases that I’ve heard in the last few months. “Gotteskrieger” can’t be labeled as a traditional Heavy Metal release since the guitar riffs for most of the songs are not very traditional, each song has elements from many other genres that make the band’s sound very dark and fresh. The only ‘common factor’ between the songs are the vocals. They are very raspy but Heavy Metal sounding. 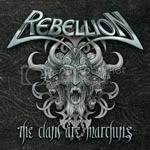 Rebellion is a German Power Metal band that has some ex members of Grave Digger in its ranks. “The Clans Are Marching” is a short EP released 1 month before their next full length album. This EP features 4 songs that will leave all fans of the band and the genre hungry for more in anticipation of the new album. While I’m not a huge fan of Power Metal, I can recognize a quality release when I hear one, and this EP is top notch in my book. The band is known for releasing high quality albums and this one is not an exception. After being blown away by the promising new track from this album that was included in their single “Tears Of Autumn Rain”, I was expecting this album very much, since the band usually takes a while to release albums. “Children Of The Dark Waters” was well worth the wait of 3 years, the album picks off where “Before The Bleeding Sun” left off with the track “Angelheart, Ravenheart” and it never lets go. The band’s unique symphonic sound is one of my favorite things about the band and I must say that they have improved it since the last album. After listening to three very sub par records from this Italian band, they blow us away since track one (“Vengance Is Sworn”) of this new album. I was starting to loose faith in this band since being very disappointed with their weird musical style switch since (N)Utopia, I was a very big fan of their earlier work like “As Angels…” and “Scourge Of Malice” so when the bombastic sound they had took a hit into a more Melodic Death/Black metal I was not digging it. With “Diabolical Figures” they go somewhat back to their more Symphonic side of music, but not loosing their brutality and aggressiveness that has been featured in most of their albums. The catchiness of most songs in this album is stellar and would have any fan of the band head banging from start to end. 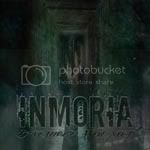 Inmoria hails from Sweden and the band features members from Tad Morose and Morgana Lefay, after reading this I was very interested in listening to “Invisible Wounds”, they debut album. While the whole album features a very interesting mixture of Power and Dark Metal, and the keyboards create haunting melodies that are perfectly complemented by choirs, it lacks depth and after listening to 4-5 songs it becomes a bit dull and repetitive. Hellfest Open Air 2009 was the second festival of our summer festival extravaganza. We had a few weeks to travel and rest after an exhausting 5 nights camping at Wave-Gotik-Treffen. 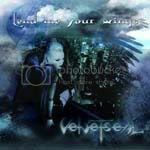 “Lend Me Your Wings” is the bombastic debut of Velvet Seal, a very good Gothic metal band from Hungary. 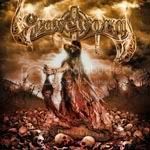 This album features 9 tracks providing 35 minutes of top notch Gothic metal that will definitely help this band get noticed and win them a great deal of fans. Velvet Seal’s sound is very well defined and perfectly executed, having clear influences of After Forever (riffs in “Torn Within”), as well as other established metal bands in the genre.